Memorial service 11:00 AM Saturday January 26, 2019 in the Algonac Church of Christ. Visitation 1-4 and 6-9 PM Friday in the Gilbert Funeral Home, Algonac, and 10:00 AM until time of service Saturday at the church. 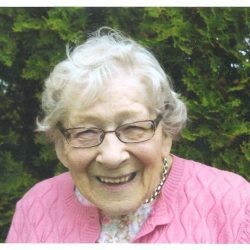 Mary B. Stoddart age 95, of Clay Township MI., passed away January 20, 2019 in the Ascension River District Hospital. She was born March 13, 1923 in Stevenston, Ayrshire, Scotland to the late Samuel and Mary (nee Gibson) Neill. She married Peter Stoddart February 3, 1944 in Scotland, he died October 16, 1999. 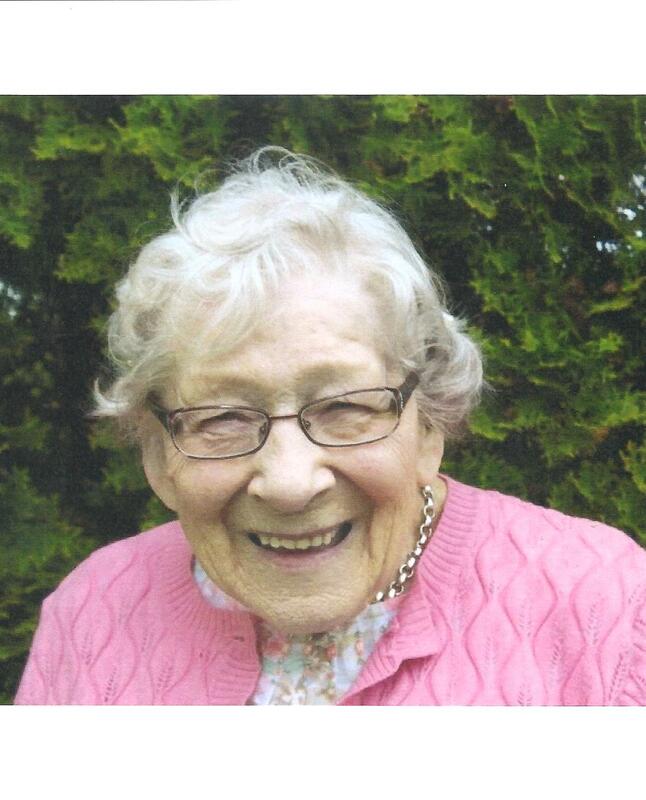 Mary served as a civil service worker during WW II in Great Britain. Mrs. Stoddart is survived by her daughters Evelyn (Bill) Avers and Sandra (Harry) McKinlay, siblings Bette Thompson of Scotland, Ann Brown of New Zealand, and George Neill of Wales, grandchildren Telia (Bill) Penzien, Iain (Pam) Avers, Heather (Bob) Kuhn, Julia (Michael O’Shea) McKinlay, Peter (Laura) McKinlay and Chris Avers, Great grandchildren, Jesica, Misy, Calsie, Aaron (Leticia), Kaelani, Jennifer, Cailin, Shayla, Ainsleigh, Abby, Thomas, Ian, Jackson, Callum and Avery, great great grandchildren Anabel, Emma and Aurora, and many nieces and nephews. A memorial service will be held at 11:00 AM Saturday January 26, 2019 in the Algonac Church of Christ. Visitation 1-4 and 6-9 PM Friday in the Gilbert Funeral Home, Algonac, and 10:00 AM until time of service Saturday at the church.